If you are a new or experienced investor who is looking for passive income, join us on Wednesday, February 28th at 7:00PM at the Beginning Investors Group Online. Passive income is money that you only work for once and receive the benefits from regularly. Think of rents, notes and mortgages, song or book royalties, etc. Fast cash from flipping properties is great, but isn’t the REAL goal to generate passive income in amounts large enough to support you and your family for life and beyond…without you working all the time? This month, our special guest presenter is Paul Rossano who is an expert at teaching normal folks how to think like the very wealthy and put together deals that create the maximum return with minimum risk. How to live a dream LIFESTYLE with less work and less stress but more money and more FREEDOM! Join us at Tampa REIA Main Monthly Event on Thursday, March 8th from 5PM at the 3050 North Rocky Point Dr. West in Tampa, FL. If you are a new or experienced investor who is looking for passive income, please read on. Fast cash from flipping properties is great, but isn’t the REAL goal to generate passive income in amounts big enough to support your family for your life and beyond; without you working all the time? That’s some seriously ambitious thinking, but we have as our special guest presenter this month who is a master expert at teaching normal folks how to think like the very wealthy and put together deals that create the maximum return with minimum risk, Paul Rossano. This training was developed by George Antone, the author of the 3 best-selling books The Wealthy Code, The Bankers Code and The Debt Millionaire. 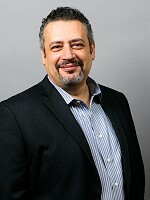 George is an award-winning educator, financier, investor and entrepreneur. He is also the creator of the largest network of private money lenders in the world, and the go-to person that the big players turn to for help in structuring their larger deals. If you are serious about building passive income while minimizing risk; and you have been looking for a serious discussion of how that works, THIS IS IT! Join us for this motivational meeting and learn how to take your real estate career to the next level! As always, Tampa REIA Members can attend our March Main Meeting event at no charge and Non-Members can Register Online for $15 or pay $20 at the door. Be sure to bring your business cards and flyers and join us for an evening of real estate deals, vendors, networking, education and fun on Thursday, March 8th! See you there! Most people only use their smartphones and tablets to talk, text, play games, and watch videos. But did you know that you can also use your mobile devices to successfully operate and automate most of your real estate investing business so you can work less and earn much more? 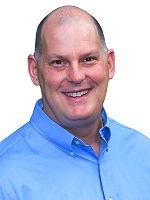 Join Don DeRosa this month at 5PM at our NEW “Meeting-Before-the-Meeting” called the High Tech Home Buying Creative Deal Structuring Subgroup (1 hour before the Tampa REIA Main Meeting) where he will show you uses technology to be 99% paperless. Don will show you how to turn your iPad, Android or Surface into a super productivity machine you can’t get along without! How to use your mobile device in the field for things like inspections, accounting, etc. Don will give you practical tips with real life examples. Prepare to be fascinated and blown away by what all today’s technology offers and what tomorrow can bring! You don’t want to miss this meeting if you too wish to be a High Tech Homebuyer! Starting at 6:00 PM, Dustin Griffin kicks off the Tampa REIA Main Monthly Event with updates and announcements. Dustin covers what’s happening at Tampa REIA in the upcoming weeks and months such as upcoming workshops, webcasts, special events, members benefits and much more! Be sure to be in the main meeting room at 6:15 PM for your chance to be one of the first to receive a printed copy of The Profit Newsletter while supplies last. All attendees who check in and attend the Tampa REIA Meeting will be entered into a drawing for a chance to win several Flat Screen LED TVs, a variety of Gift Cards (such as Home Depot, Lowes, Walmart, Amazon, etc), Flashlights, Phone Chargers and all sorts of other miscellaneous items that vary from meeting to meeting each month. *You must be present and in the room during the drawing to win. Door prizes and giveaways can change at any time for any reason. Non-Members and Vendors are not eligible to win. Join us on Saturday, March 10th at 9AM at Doubletree Suites Tampa Bay, 3050 North Rocky Point Dr West, Tampa, FL where you will learn to do just that. 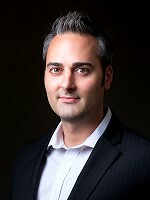 Don will be showing you how he runs his entire business completely paperless, using nothing but mobile devices. Don will teach you how to fully leverage your investments in any mobile device that you own, such as tablets and smart phones. He will teach you how to take your business with you wherever you go; have all your comp’s, photos and forms right in the palm of your hands! How to use your devices as your central communication hub. How to use the cloud to store all of your data so you never waste time looking for STUFF again. Run your entire office using apps such as Scanner Pro, Excel, Word and PDF Expert and a whole lot more. Take notes, inspections and write contracts multiple ways so you never have to print anything ever again. How to perform ALL of your due diligence such as comps, evaluations, computations, research and demographics all while still in the driveway of the home. Productivity apps to access files, data and info from anywhere. Improve your rehabs with apps that assist in design, measurements and color choices. Property management apps that assist with collecting rent payments, move-in / move-outs and tracking leases. Track expenses and get rid of all those paper receipts and never manually log miles ever again. So if you want to take your business to the next level this is the MUST attend event of the year. Never again look at paper the same way. Please join Don DeRosa on March 10th from 9AM to 6PM for the “There’s An App For That Workshop” being offered for the first time in Tampa! *PLEASE NOTE: Non-Members who Join Tampa REIA between March 1st through March 8th, 2018 can attend the workshop at no charge. Also, Tampa REIA Members who renew their membership for an additional year between March 1st through March 8th, 2018 can attend the workshop for no charge as well. When Joining Tampa REIA or renewing your membership, please indicate that you want to attend the workshop at no charge. You can Join Tampa REIA at http://membership.tampareia.com. 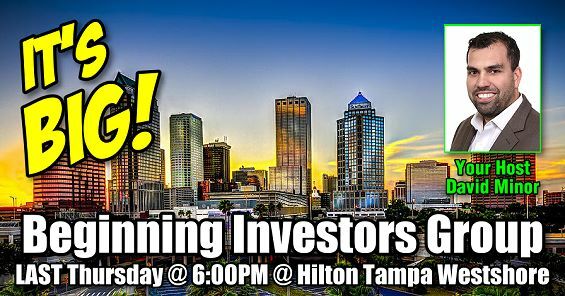 The Beginning Investors Group (BIG), hosted by David Minor, meets on Thursday, February 22nd and the LAST THURSDAY of each month from 6:00 PM to 9:00 PM at a Hilton Tampa Airport Westshore located at 2225 N Lois Ave in Tampa. The Tampa REIA Beginning Investors Group (BIG) is a NEW, educational and networking special interest group for new investors who are just getting started in real estate investing as well as “new again” real estate investors who’ve taken some time off and are looking to get back in the game and take their business to the next level and beyond! This is a special opportunity for Tampa REIA, Atlanta REIA, Charlotte REIA, Chattanooga REIA and Savannah REIA Investors. Seating is very limited and will fill up fast. *PLEASE NOTE: Seating for this event is limited and will fill up quickly. Date, Time & Location are subject to change. Due to the advanced nature of this training, nobody will be admitted to the event after it begins, so please be on time! 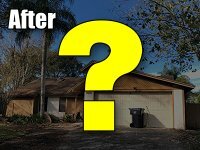 Come See Completed New Western Renovation Project in Tampa! 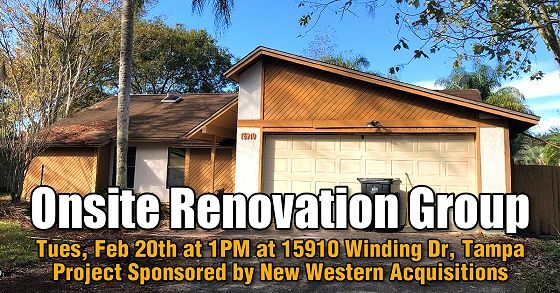 Please join us on Tuesday, February 20th at 1:00PM for the Tampa REIA Onsite Renovation Group (ORG) to learn all about finding, funding, fixing, and flipping houses for big profits in the Tampa Bay Area. 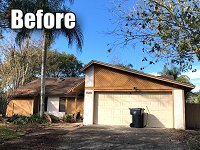 This month’s Onsite Renovation Group will be held at a property located at 15910 Winding Dr, Tampa, FL that is nearly complete. Working a short sale on a house can be one of the most profitable ways to acquire a deal in our market today. This 3 bedroom, 2 bath, 2 car garage home in Northdale needed a FULL rehab to start, but had so many possibilities with it’s open floor plan, screened in pool, and lakefront view. Come join us at the Onsite Renovation Group and see this newly transformed home before it flys off the market! This renovation case study is being sponsored by New Western Acquisitions and managed by Ryan Groff. Don’t be late as we will be sharing some exciting information about this project at 1PM sharp on February 20th! Join Us at the Property Protege Group Tonight! If so, please join us Friday at 6PM at the Property Protege Group Open House hosted by Don DeRosa and Dustin Griffin at Vesado Office, 2203 N Lois Ave, 12th Floor, Suite 1210, Tampa, FL. 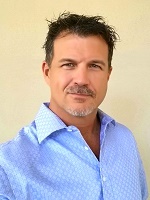 Join us at Tampa REIA Main Monthly Event on Thursday, February 8th from 5PM at the 3050 North Rocky Point Dr. West in Tampa, FL where our special guest speaker this month is will be our own David Minor who is the founder and managing partner of Vesado Investment Group in Tampa, Florida which has experienced explosive growth in its first few years of operation having facilitated the purchase and sale of over $20 million dollars in real estate since inception. At this event, David is going to share his story of how he went from zero to hero in just a few short years through real estate investing. 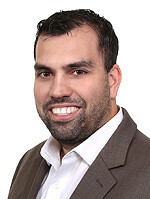 He is also going to talk about how to take your real estate investing business to the next level through Wholesaling. We guarantee that whether you’re a brand-new investor or seasoned pro, you will learn something new from David that WILL MAKE YOU MONEY in 2018! Join us for this motivational meeting and learn how to take your real estate career to the next level! As always, Tampa REIA Members can attend our February Main Meeting event at no charge and Non-Members can Register Online for $15 or pay $20 at the door. Be sure to bring your business cards and flyers and join us for an evening of real estate deals, vendors, networking, education and fun on Thursday, February 8th! See you there! 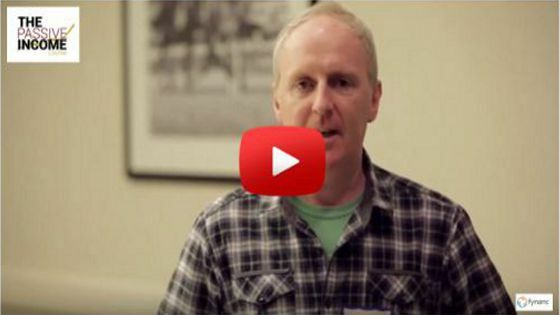 What Goes Into Your Rehab Scope of Work? If you’re brand new to real estate investing, one of the biggest challenges buying a property is understanding your numbers. Is it a good deal or not? And how do you know what to fix, and what not to fix? The sad part is, even if you manage to do a good job, it only takes a little miscommunication with your contractor to turn a good deal into a nightmare. Contractors can make or break your deals, so making sure you get off on the right foot is crucial. Creating a detailed scope of work and a clear understanding of what is expected is paramount. The easiest way to do that is through a detailed Scope of Work (SOW) which is part of your agreement where you describe in detail, what work you want performed. At this month’s Meeting-Before-the-Meeting on Thursday, February 8th at 5PM, that is exactly what I will be talking about… How to create a detail scope of work so that there are no misunderstandings. These are just a few of the tips and tricks I will teach you at the meeting. I’ll see you there! Its an amazing time to be a real estate investor. Don’t look back 5 years from now and wish you had acted. Learn how to buy right… Learn to Make More and Work Less, Right Now! to make money in real estate? Do any of these obstacles above apply to you? If so, you must attend our upcoming Marketing Madness Workshop for Real Estate Entrepreneurs on Saturday, February 10th from 9AM to 5PM at *Doubletree Suites Tampa Bay, 3050 North Rocky Point Dr West, Tampa, FL with Don DeRosa, David Minor & Dustin Griffin. During this full day event, we’re going to personally help you overcome each and every one of the obstacles that may be stopping you from bringing home some really big checks in a very short period of time with little or no cash, cred, experience or risk required on your part. Whether you know it or not, as real estate investors, we are all in the “marketing” business. Yes, “real estate” is our product and “solutions” is the service we provide, but we are in the marketing business. You must learn how to be a great marketer to be able to find great deals no one else can. You must also be able to attract cash buyers so you can close quickly for fast paydays. When you run your real estate investment business properly, you will get paid within days not weeks or months, just like most successful wholesalers do. Of course this is easier said than done, right? Well, it is that easy when you know what to do, how to do it, when to do it and when you have the right resources available to you. During the Marketing Madness Workshop, we will share tons of useful and up to date information and teach you how to become a “Marketing Machine” and the “Go-to Person” for hot deals in your local real estate market. At this event, we will teach you many of the affordable marketing strategies that we and other highly successful real estate investors and marketers use to promote their business, dominate their local market and generate all the motivated buyer and seller leads they can handle. We will also show you many of our wholesaling techniques that are simple, fun, fast and easy to implement so you can start bringing in big paychecks in 30 days or less. If you’re at all disappointed with the amount of money you’ve been earning in your investing business and are fed up with all the time you’ve been spending trying to figure out how to get more leads and do more deals… then come join us at the Marketing Madness Workshop. So what are you waiting for? Will you be the next real estate millionaire? It is up to you. Success starts with taking action, one step at a time. So don’t let anything stand in your way. Clear your schedule, forget the past and come join us at the workshop so we can help you become a Marketing & Lead Generating Machine! We will see you at the event! PLEASE NOTE: Workshop date, time and location are subject to change. Workshop prices will increase to $59/person for Gold Members, $89/person for Silver Members and $129/person for Non-Members after the Early Registration Special expires.